Information (toll-free call and service) : 0800 11 40 23 de 7h à 21h30. 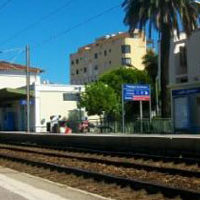 The Thello trains (linking Marseille-Italy) stop at the Antibes train station. The Lyria trains (linking Geneva, Lyon, Marseille, Antibes, Nice) stop at the Antibes train station. 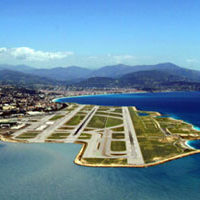 Nice Côte d’Azur International Airport, 20km from Antibes Juan-les-Pins. A8 Freeway, the Provençale, exit 44. Parking: Underground public parking nearby. Shuttle every 35 minutes toward the airport. 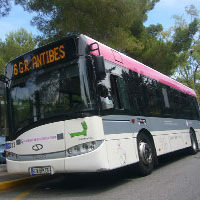 The Urban Envibus network serves Antibes Juan-les-Pins with transfers throughout the whole department, Nice, Cannes, Monaco, Saint Tropez, and also offers you a customized urban network.